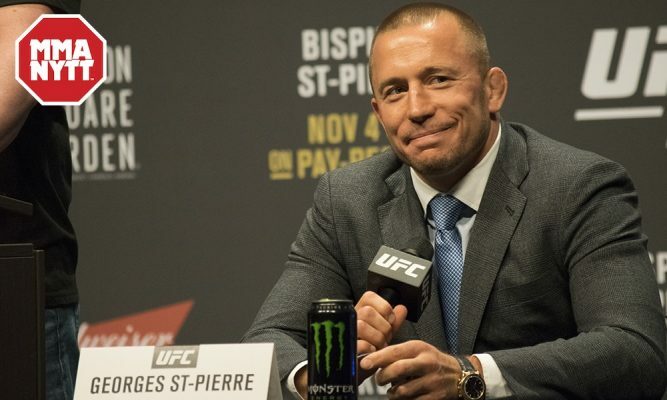 Georges St-Pierre didn’t get much time to celebrate his win over Michael Bisping at UFC 217 on Saturday night before he was whisked away to the hospital to get some cuts on his face mended. St-Pierre suffered a gash on his nose and another on his forehead courtesy of Bisping’s elbows that required several stitches after the fight was over. That meant St-Pierre didn’t get to talk to the media following his win, which made him only the fourth fighter in UFC history to hold titles in two different divisions. 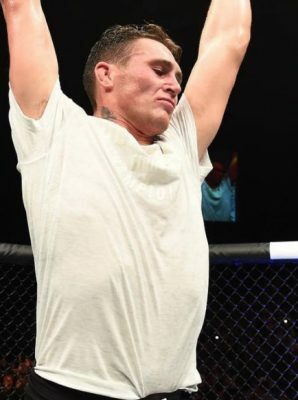 On Sunday, St-Pierre released his first statement while saying that his win at UFC 217 was the best night of his entire career. It was certainly a huge night for St-Pierre as he was returning to action for the first time in nearly four years when he faced Bisping for the middleweight title. St-Pierre will now take some time off to relax after a rigorous training camp but it won’t be long before he’s hearing about his next fight as he’s expected to unify the middleweight title with a bout against interim champion Robert Whittaker. There’s no timeline set for that fight, however, as St-Pierre just fought on Saturday night and Whittaker is still recovering from a knee injury suffered in his last bout against Yoel Romero in July.